For many, the garage is the trigger that sets off the detonation to do something about all of the stuff that is compiling. This area of the home can become the catch-all to many things… thus, making it one of the most intimidating areas to dive into and de-clutter. For this reason, we will be splitting this part of the challenge into two parts. We don’t know what you use your garage for. So, we don’t know what types of things gets caught in its web of convenience for storage. It can become the perfect ‘out of sight, out of mind’ for the items that you don’t take the time to store or throw away… until months go by, and you discover that the garage looks like an episode of Hoarders. Pop cans that can be returned to the store or recycling center. Trash that didn’t make its way to the dumpster. Tools that are out of place that can be easily put back on the shelf. Items that you have been intending on taking to a donation location. That pair of scissors you’ve been looking for. Part 1 of the garage clean up is simple: Get the obvious stuff out of the way, and do it immediately. While you are doing this, chances are good that you are going to be have more detailed organizational thoughts running through your mind… and that is good. But until you get through this round of getting the ‘junk’ out of there, don’t give in to the urge to start shuffling things around yet. Dream for a while first about what you can actually do in the garage to make it a space that has purpose for your minimalist journey. Then go on to PART 2… You’ll be glad you did. 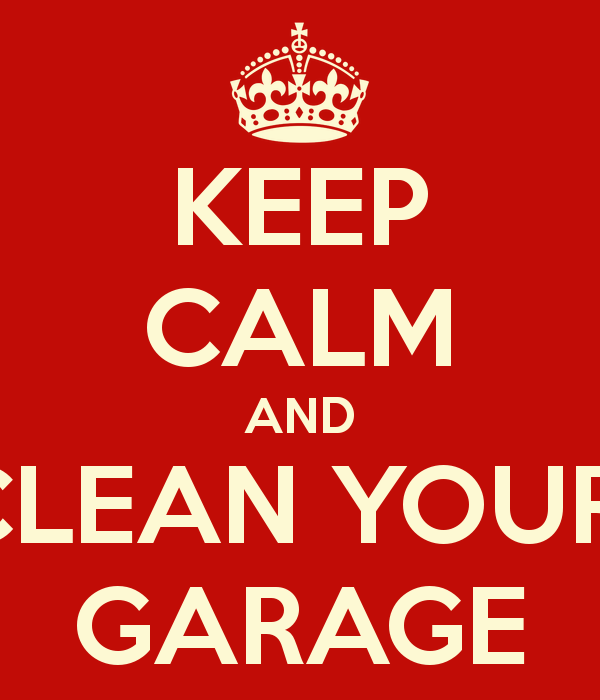 The garage is one of two areas in my home I have no control over. My husband is not a Minimalist. He loves his stuff. He has tons of it in my opinion. However, in order to coexist, the garage and his media room (4th bedroom/man cave) are off limits to me. Luckily, he has a method to his madness and the garage is cleaned often. Very few things are ever gotten rid of, but it does, at least, look neat.